It’s hard to believe that another year has past and we are well and truly in the throws of 2014. 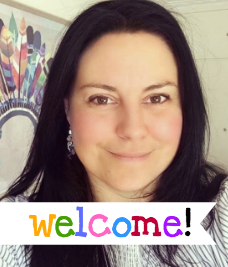 I’m predicting an exciting year with new improvements to Laughing Kids Learn and even more wonderful activities you can do with your children at home. 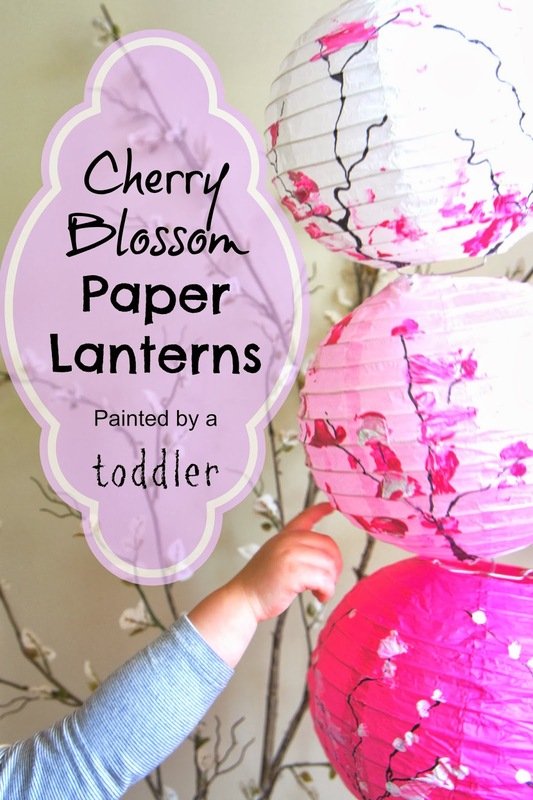 One activity that gave Possum (2 years) and I lots of enjoyment was decorating these beautiful paper lanterns that were inspired by the incredible cherry blossoms found in Japan. Interestingly, I found another website that did the same activity. 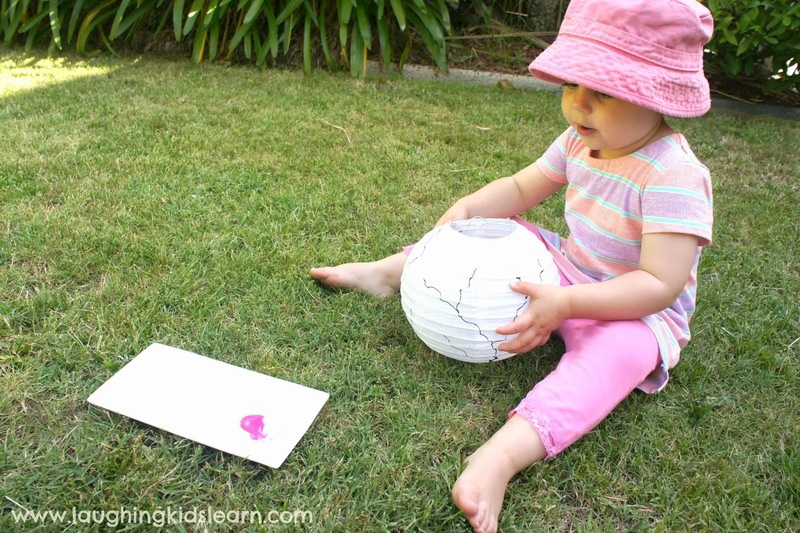 It’s an activity that opens up the opportunity for your toddler to be independently creative, because they can’t go wrong! 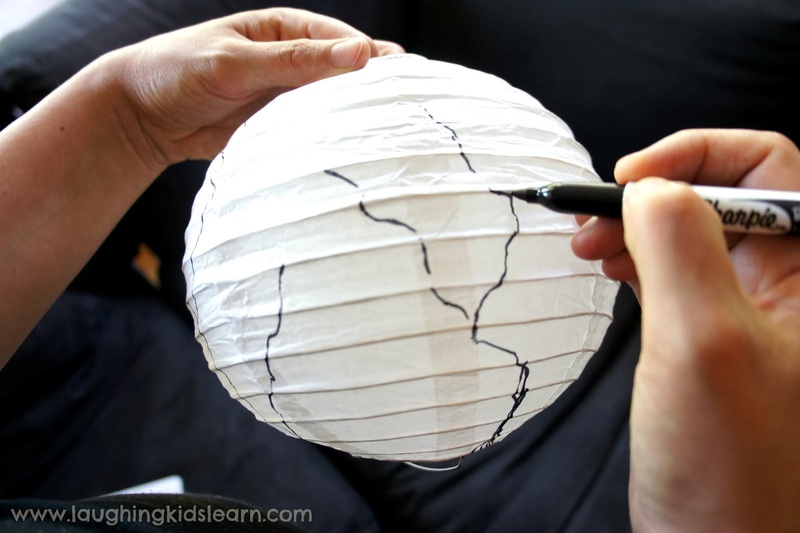 These paper lanterns do need to be assembled prior to any decorating can take place, however, that isn’t difficult. I felt that Possum might struggle a little with using the black pen and so I roughly drew, on each lantern, four tree trunks with lots of branches (see above). It was a beautiful day and so we went outside to complete the next stage, painting! 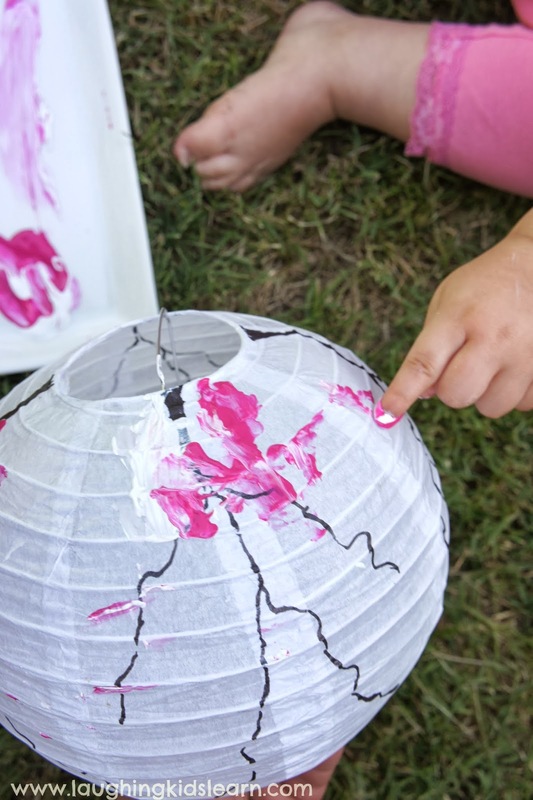 Quite simply, I instructed Possum to use her index finger and press it into the paint and make dots on the lantern using the small squirt of paint that was on offer to her. I demonstrated what it looks like to make dots using our fingers and she went about doing it herself. A lot of our talk centred around the texture and colour of the paint. She repeated after me the names of the paint colours and I used describing words that explained the ‘oozy’, ‘slippery’ texture of the paint. 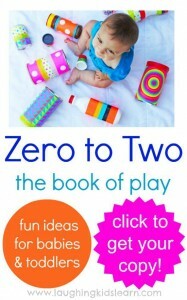 As you can see, such an activity is brilliant for developing fine motor skills. 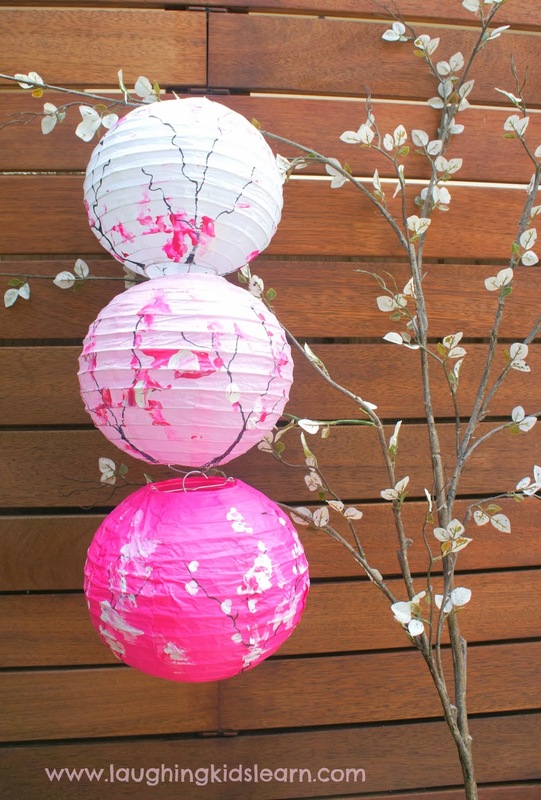 These paper lanterns look absolutely stunning and would compliment any outdoor area or child’s bedroom. They would no doubt be a huge talking point for all those who saw them, not to forget the pride felt from the toddler who decorated them with such a high level of independence. Do your children like to work independently? 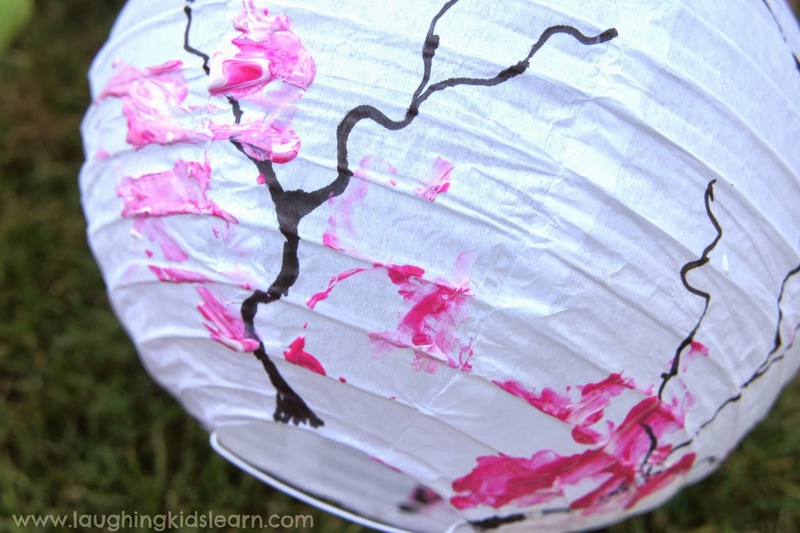 If you’re interested to find out more about Cherry Blossom trees then this website might interest you. 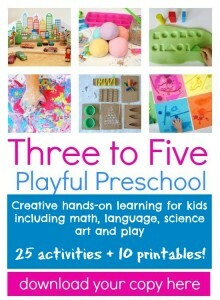 Otherwise, check out more crafts and activities that you can do with your toddler at home. These are just sooo cute! Pinning! I love anything with cherry blossoms. They look beautiful. Thanks Jackie! I love, love, love cherry blossom. These are absolutely stunning, Kate! I love them so much! After seeing your two year old do such beautiful work on her lanterns I assembled supplies for my mother to share with her friends at her annual celebration. They also made beautiful art! Now I’m seeking a source for the plain white fans for next year. Thanks so much for sharing your idea. You are more than welcome Sherry! Hopefully I can continue to inspire you. Thank you so kindly for your comments.